GASLAMP QUARTER (SAN DIEGO, CA. 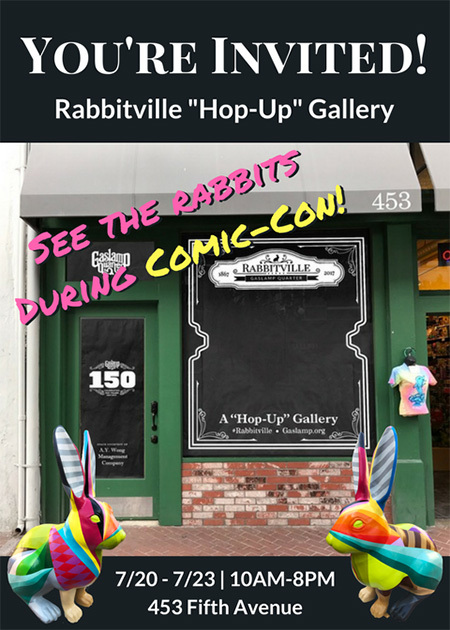 )– The Gaslamp Quarter Association is proud to announce a limited exhibition of the “Rabbitville” public art project during the 2017 San Diego Comic Con International. 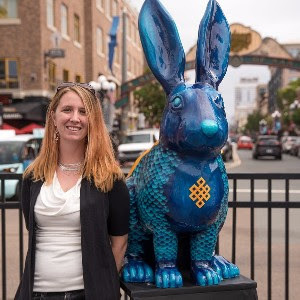 This four-day long “hop-up gallery” will feature many of the rabbit sculptures which celebrate the 150th Anniversary of the Gaslamp Quarter. Located at 453 Fifth Avenue, the gallery will be open to the public from Thursday, July 20th through Saturday, July 22nd from 10:00am-8:00pm and Sunday, July 23rd from 11:00am-5:00pm. Photos of Gaslamp’s history, limited edition t-shirts, and photo opportunities with the iconic rabbits will be available. 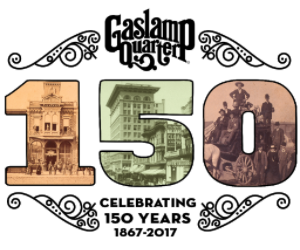 150 years ago, the area that is now the Gaslamp Quarter was jokingly nicknamed “Rabbitville” after its chief inhabitants. The “Rabbitville” installation honors the pioneering spirit of the legendary founder, Alonzo Horton, who transformed Rabbitville into modern San Diego. Each fiberglass sculpture and stand measures seven feet high. These original sculptures have been designed by 15 artists who have created each one in various mediums. The activation is just one of the locations the herd of rabbits will be hopping to throughout the sesquicentennial anniversary year. 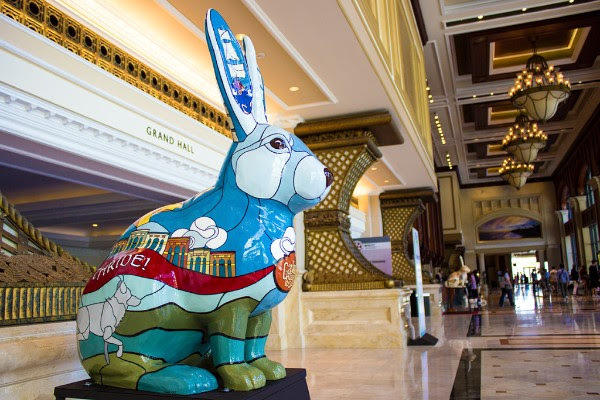 Rabbits on display will be, Matt Forderer’s “Willabee;” Tasha Hobb’s “Honoring the Disdained;” Monty Montgomery’s “Diego;” Sarah Soward’s “Against All Odds We Thrive;” Rebecca Nuvoletta’s “Ordinate;” Mario Herbelin-Canelas’s “Life’s Good,” sponsored by Pacific Magazine; and Lee Sie’s “Nelly Ghirardelli,” sponsored by Ghirardelli Chocolatier. Also, visitors are certain to get a surprise sighting of the “Rogue Rabbit,” sponsored by Instant Callers! 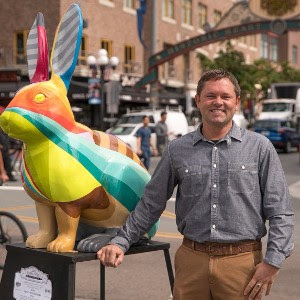 This celebrity rabbit roams around the Gaslamp Quarter posing for pictures and collecting memorabilia that will later be used in a mosaic around the rabbit’s coat. San Diego City Councilman Chris Ward, the San Diego Padres, and Pendry San Diego have sponsored rabbits currently in production. 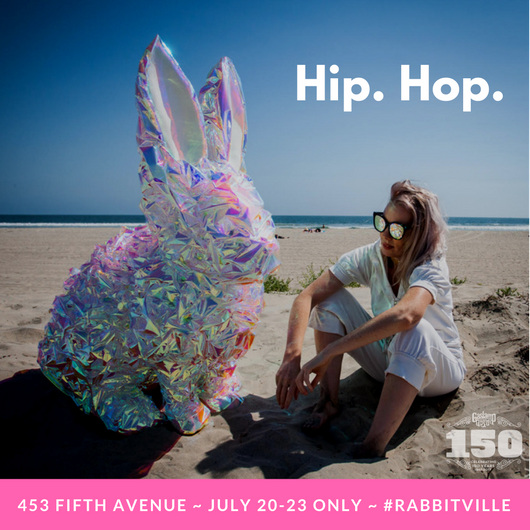 For “Rabbitville– A Hop-Up Gallery” and “Rabbitville” exhibition updates make sure to check out Gaslamp.org/150. To schedule a media preview of the gallery and for photos please contact Erin Liddell at (858) 692-9187 or erin@gaslamp.org.